This week's question is: Christmas in July! Someone gives you a gift card for two books (whatever that costs). What two books will you buy? MY ANSWER: Hmm...I would likely do some preordering! The Iron Wrym Affair and Blood Fever! This week's question is: Throwback TGIF: Pick a previous question you posted on your blog in the past & revisit your answer. Has it changed since then? From February 10, 2012: Love Stories: What are some of your favorite fictional love stories? MY ANSWER: I originally stated that I loved Jess and Pietr from my fave series, 13 to Life! And also Faythe and Marc from the Shifters series. In a way, I do still enjoy those love stories. Been reading lots of YA lately with review books, and I'm pretty hooked on Alex and Aiden from Jennifer Armentrout's Covenant series! That's my YA answer! Now adult? Hmm...trying to think what was my last one! Seriously, this is a lot harder than I thought it would be! I can never have just one favorite! It's just not natural to me! There are wayyyy too many fabulous books out there that incredible authors have written. And I enjoy them all! But for answers sake I think I will revamp my answer and choose Jess Haines H&W Investigations series! Now I don't want to say who, but obviously one is Shiarra! And the love interest I am speaking of is the one we saw her with in the last chapter of her latest release! So if you've read it, you know what I am talking about and if you haven't you are not spoiled! So that is my new answer! 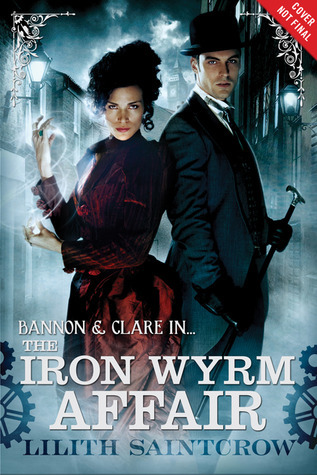 Iron Wyrm Affair looks interesting and I especially like the cover. The Iron Wyrm Affair sounds unique and I'm very curious about it. I've been wanting to start the Veronica Wolff series. I hear great things about it. Thanks for stopping by My FF! OH I Love the covers of both of those, I think I am definitely going to put on my list. Thanks for stopping by my Follow Friday post. Oh and thanks for stopping by My FF! I have heard such amazing things about JLA and finally got a couple of her books recently - I'm excited and hope to dig in soon! I haven't heard of the other ones; I'll have to check them out. aaah the first one is already pre ordered, I really can't wait! nice choice! 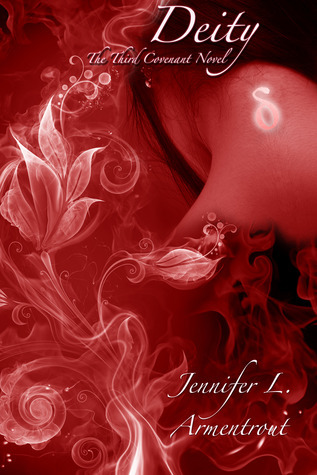 Looks like some great books, I haven't heard of any of them, but I am going to have to check out Jennifer L. Armentrout cause she is on a lot of peoples picks..lol. Old follower, thanks for stopping by my blog. I can't wait to get my hands on a copy of Deity! Love me some Alex and Aiden! New follower via GFC! Come visit my blog? I have been hearing a lot about Blood Fever. Happy FF and thanks for saying hi! I haven't heard of either of these books but they look great! Thanks for stopping by - The Iron Wyrm Affair definitely has my attention. I need to look into that! Ooh that first book looks steampunk-y. I'm intrigued. Looks like good books! Thanks for stopping by! 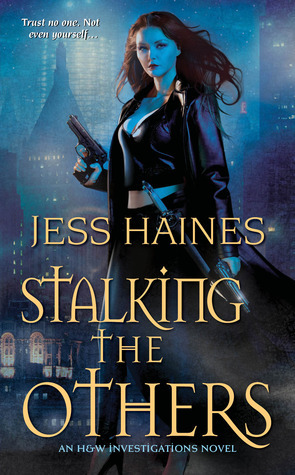 You absolutely made me want to pick up my copy of Jess Haines' first novel! :'D Arrgh! 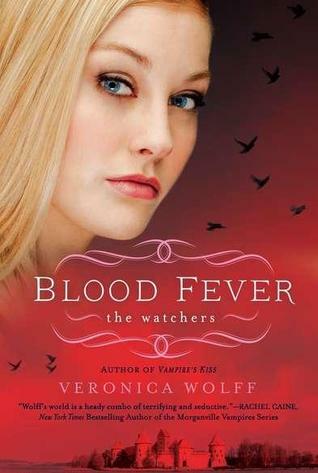 Blood Fever looks like my type of book :D Thanks for stopping by! I love the cover of Iron Wyrm Affair! It reminds me of Sherlock Holmes for some reason! I've heard so many raving reviews for JLA's Covenant series, I'll definitely have to read it soon! Why are we not friends? I would have to say that your two books are awesome. I have been looking forward to both of them. The Isle of Night series is one that isn't as well known but was really good so far! I am hoping the Iron Wyrm Affair turns out to be good as well. I was a little disappointed in how she ended the Strange Angels series. I am always happy to find another H&W Investigations fan. The last book left us with such a cliff hanger I can't wait to read this one. Thanks for stopping by my page! Have a great weekend! Blood Fever looks great. I adore the cover! Thanks for stopping by. It's always nice to see a familiar face in the Friday hops! Blood Fever is new to me. :) sounds great! Oooh, these look great! What wonderful picks! Will add to TBR list. Thanks so much for stopping by! I want to read The Iron Wyrm Affair too! It looks awesome! I am just now reading Half-Blood, but I am loving the Alex/Aiden dynamic. Great answers! Old follower. i loved half blood hope this one is just as good thanks for posting on blog. Those look like great books. Thanks for stopping by. Nice choices! Thanks for stopping by, I'm an old follower too :) Hope you have a great weekend! Hopping through. I really want to read the Iron Wyrm Affair. It sounds really interesting. Wow, the cover for the first book really got me! It's beautiful! I have not yet read any Jennifer Armentrout but I've heard nothing but good things so I definitely plan on trying out this series. I love the cover of the Iron Wyrm Affair. Will have to add that to my TBR list. I love Armentrout's other series, but haven't started on the Covenant series. Too little time, need to stop buying new books. Thanks for stopping by. Old Follower. Blood Fever! I just got in the mail a few weeks ago, but still need to check out the rest of the series. lol! Great picks, and thanks for hopping by! ooo haven't heard of either FF choice, but they look good!! Sorry for the delayed response back lol busy week! Special Erin Kellison Post!--Plus a GIVEAWAY! Veronica Roth and Aprilynne Pike Signing!